I was up at 5 Saturday morning, had my quiet time, prepared breakfast for the Mrs., ate a light breakfast, showered, dressed, and put my luggage in the car. I then worked on new chapters for my new book on HEAVEN. I am really excited about this book! I believe I will be able to finish the last two chapters on this trip. I flew from Longview, Texas, to DFW and then caught a flight to Wichita, Kansas. One of our former members Clay Dotson was going to meet me at the airport. When I arrived there was a pleasant surprise. 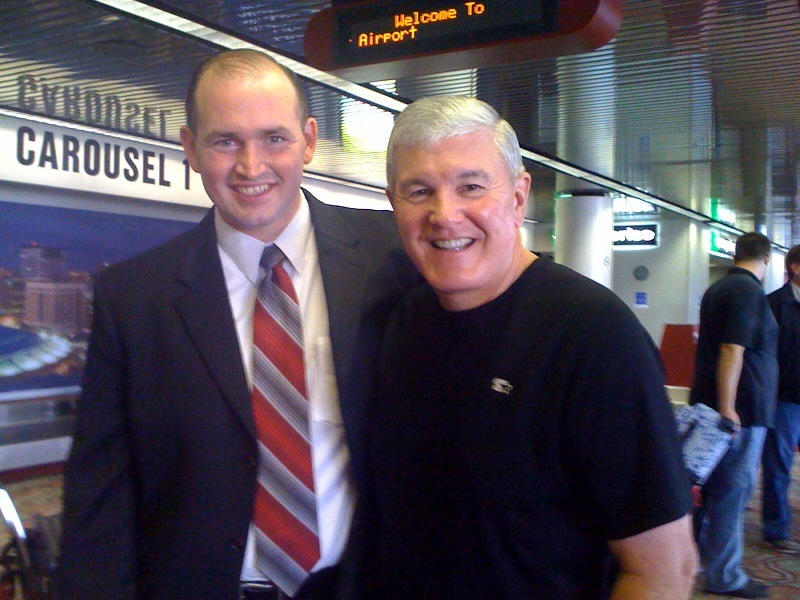 Pastor Tim Holeman, whom I preached for four years ago in Maryland was with Clay at the airport. I did not know but a few months ago the Colonial Heights Baptist Church called him to be their pastor. Pastor Holeman is from my good friend Dr. Michael Haynes’ church in Charleston, South Carolina. There are about 500,000 people in Wichita and I know that Pastor Holeman will do a tremendous job of leading his church in soul winning. Tim is a Hyles-Anderson graduate and is well prepared for the task before him. I am looking forward to fellowshipping with him the next few days. His church is about 30 miles from Hutchinson, Kansas, where I will be preaching for the next few days. I am going to be with Pastor Richard Haley who pastors Riverside Baptist Church of Hutchinson, Kansas today through Tuesday. I have known Pastor Haley for many years. He has been the pastor here for nine years and is a great personal soul winner. God has given him a wonderful family and wonderful people! I called several of my converts last night and it looks like 2 are coming for sure and 2 are questionable. God has allowed me to lead 27 to Christ so far this month. GOTTA LOVE SOUL WINNING!